How to add comment to text within a text box in Word document? 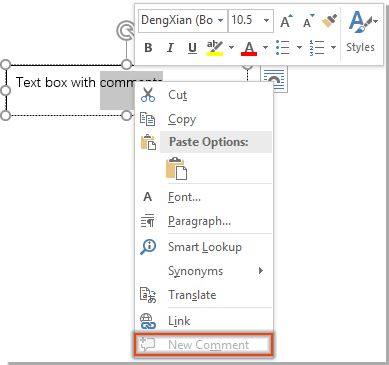 You may find out the New Comment option turns to gray when trying to add comment to text within a text box in Word. If you want to mark certain text within text box with comment, how can you do to achieve it? This article shows you method to solve this problem in details. You can convert the existing text boxes to frames in order to add comment to them. Please do as follows. 1. 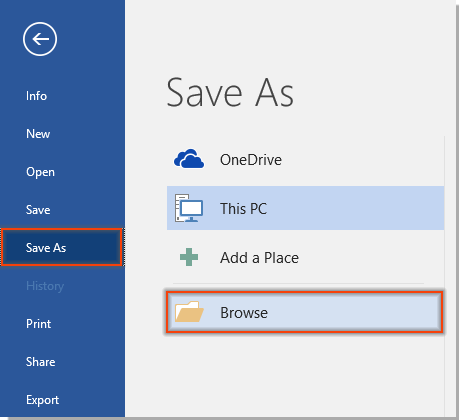 Firstly, you need to save the Word document as 97 – 2003 document format. Click File > Save as > Browse. 3. 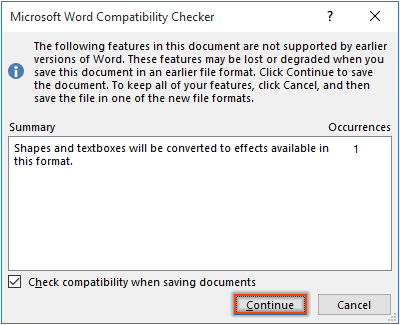 Click Continue in the Microsoft Word Compatibility Checker box. 5. In the Format Text Box dialog box, go to the Text Box tab, click the Convert to Frame… button, and then click OK in the popping up Microsoft Word window. 6. Now you can add comment to the texts within comment. 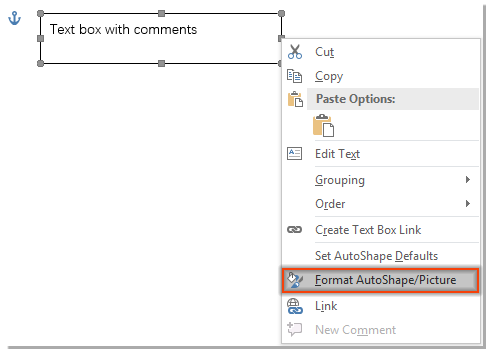 1. you need to repeat the step 4 – 6 to add comments to all text boxes as you need. 2. 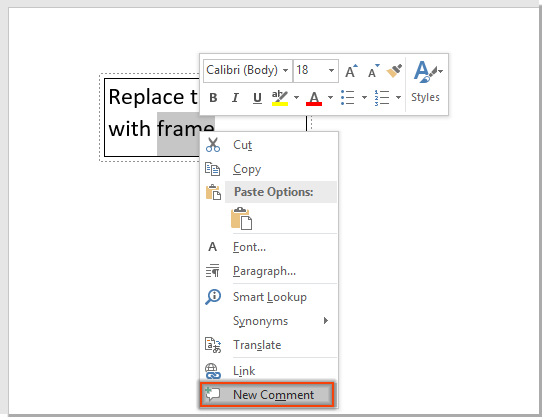 After saving the document as 97 – 2003 format file, the Convert to Frame utility of Kutools for Word can help you to quickly convert a text box to frame. 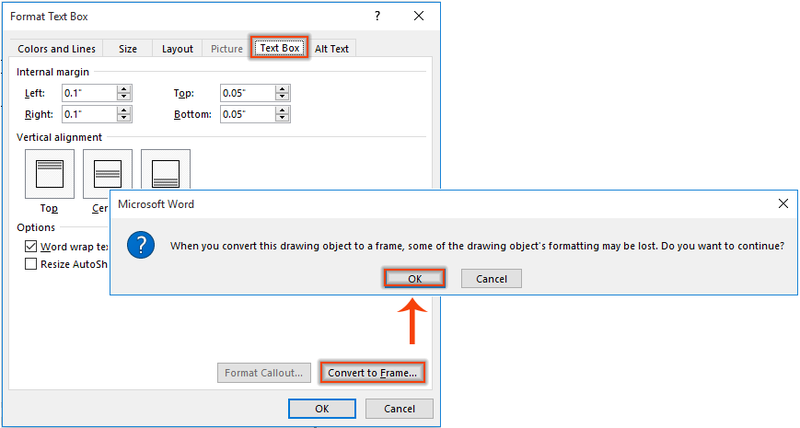 You just need to select the text box, then click Kutools > More > Frame > Convert Text Box To Frame as below screenshot shown. Kutools for Word: with more than 60 handy Word add-ins, free to try with no limitation in 30 days. Download and free trial Now! 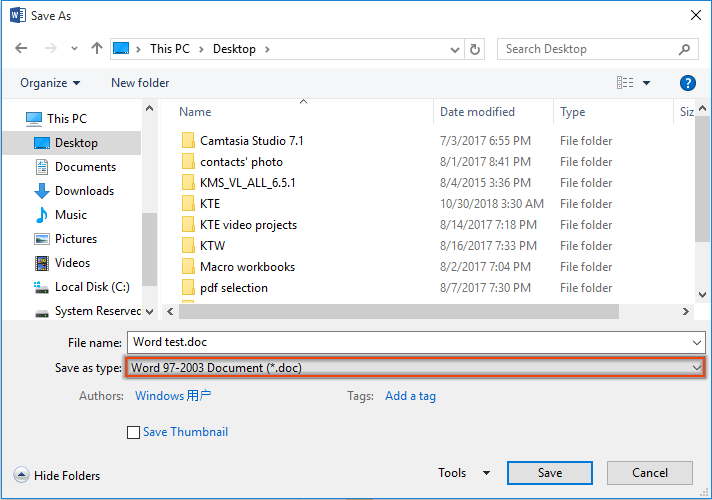 If you don’t want to convert the document to 97 – 2003 format, you can just replace text box with Frame in document. Please do as follows. 2. Draw a frame into your document, fill in the frame with text, then you can add comment to the text directly.